MetaGeek believes in Scrum. Completely. 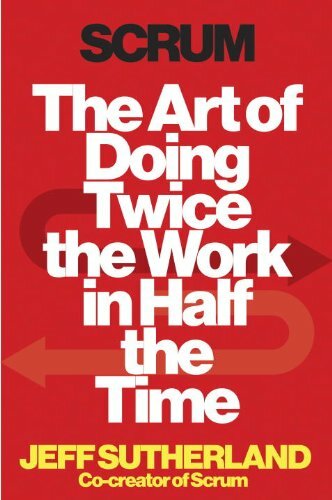 Our software teams have been “agile” since 2010, and after reading Jeff Sutherland’s Scrum: The Art of Doing Twice the Work in Half the Time we decided to go all in on Scrum… by the book. We wanted to experiment with the entire company using the complete Scrum process. Everyone from shipping and accounting to software development, and IT… even the leadership team. Our first step was to form random groups of people into book clubs to review and discuss Sutherland’s book. We had originally planned to have Sutherland’s team at Scrum, Inc. come to Boise to give us a 2-day training, but everyone at MetaGeek was too excited to wait for the training, so we just went ahead and started Scrumming. The entire company has been using Scrum for about three months now with tremendous success and a few surprises. Here’s a glimpse into what it’s like when the entire company embraces Scrum. The transition to Scrum by the Book was easiest for the software teams that were already familiar with Scrum and agile methodologies. Prior to Scrum by the Book, our three software teams were doing 2-3 week sprints, using Jira to track sprints, and scoping stories by “engineer days.” We switched to 1 week sprints and bought some Planning Poker cards from Amazon to properly scope complexity instead of time. We also added “Definition of Done” to stories. Although the software teams had been using “Scrum but” for four years, switching to Scrum by the Book has been the biggest boost in productivity that we’ve ever seen! The shorter sprints focus on higher value stories; when planning a 2-3 week sprint a few low value stories seem to always sneak in toward the end of the sprint. By putting more effort into a clear, unambiguous “Definition of Done” for each story the team and the Product Owner are now aligned on the desired outcome. And the weekly retrospective ensures process improvements are immediately implemented before the team gets bogged down. Half our marketing team had never heard of Scrum, much less seen it in practice, so the first couple sprints were kind of rough as the team figured out how the process should work. Jay, our Marketing Director has stopped giving verbal instructions to individuals whenever new tasks come up, and now writes a story to #putitinthebacklog. Instead of doing a little work each week on a dozen different projects, the team now focuses on a bite-size chunks of work that can be completed in a single sprint. The team has learned to focus on the highest priority stories first instead of grabbing the more interesting, but lower priority stories that aren’t as valuable to the company’s success. There is more collaboration on projects as the team rallies to finish the sprint, and there is more upfront request for clarification to make sure the work will produce the desired outcome before the work is begun. Now that the team has figured out the process and found a rhythm they are accomplishing an amazing amount of excellent work. At first we weren’t sure if using Scrum for Support made sense, because so much of their daily work is interrupt-driven tasks like answering support emails and taking calls from customers, but we decided to try it anyway. Currently Joel, our Support person, is part of the Marketing team and counts 2 days each week as “on sprint” with the rest of his time devoted to the interrupt-driven tasks. The “on sprint” time keeps the sprint as the highest priority for him, as opposed to allowing the interrupt-driven tasks to fill up all of his time. Without working more hours he is now regularly creating training content, videos, knowledge base articles, and other support-related content that has reduced the number of support tickets created, which in turn has freed up more of his time for “on sprint” work. At MetaGeek Finance, Operations and HR are all handled by one team of four people that all wear very different hats. The challenge with moving this team to Scrum, was that 90% of their weekly tasks repeat each week with other tasks repeating monthly and annually, such as closing the books and reconciling inventory. While most of the company is currently using Jira, this team opted for a physical Jira board of sticky notes that can be moved from Done back to Backlog and To Do during sprint planning. Before the team started using Scrum they each did their own set of tasks with little overlap. Now they are becoming cross-trained and are more capable of helping each other succeed. Since MetaGeek began ten years ago, nothing has had as great an impact on the company’s momentum as our leadership team embracing Scrum. We were already following Patrick Lencioni’s advice from The Advantage of having a Daily Check-In Meeting and a Weekly Staff Meeting, so switching to a Weekly Sprint was simple. The biggest impact on our team has been the shift from doing mostly tactical work during our first few Sprints, to mostly strategic work as our process has evolved week after week and we have continued to focus on doing high value work. By breaking down all of our work into Stories and Sub Tasks and agreeing on the prioritization of Stories, the Leadership team now collaborates on work so much more than we did when goals and progress weren’t clear to everyone. Anything we do that isn’t in our Sprint has to be declared in Daily Stand-Up as a Blocker, which has pushed us to stop doing tasks that aren’t high-value even if they seem urgent at the time. Another positive outcome for the Leadership Team is that we quickly realized that meetings are big blockers, and we’ve worked to reduce the number of meetings we attend. A lot of companies say they are transparent, and they probably think they are transparent, but there’s nothing quite as transparent as Scrum. Every team’s Scrum Board is public for the entire company to see, and every team has a public Sprint Demo to show off and explain what they have accomplished each week. This has increased communication flow between the different teams, and created accountability to the entire team to ensure the work you are doing is truly adding value to the company. Moving the entire company to Scrum wasn’t simple, and is still a work in progress, and I can’t imagine ever going back to our pre-Scrum ways of doing business. Company-wide Scrum FTW!